Joseph Carl Schultz, 68, of Winona, MN passed away at Gundersen Health System in LaCrosse, WI on Monday, June 4, 2018. His wife of 48 years, Nancy, was at his side as he left his earthly home. We know how excited he was to spend eternity with Jesus. Joe was born July 28, 1949 to Florence (Benck) and Joseph Schultz, Jr in Minneapolis, MN. He grew up in Minneapolis and Bloomington. He was a graduate of Bloomington Lincoln High School, class of 1967. After high school, Joe moved to Hutchinson, MN where he worked for the City of Hutchinson Engineering Department. He met his wife Nancy, while he was working on the Main Street project in 1968. Joe and Nancy were married on May 16, 1970. They were blessed with two children, Joseph Herbert and Michelle Marie. Joe had many interests in life. He worked for 3M Company(Hutchinson), Averyon Homes(Hutchinson), Schneider Transport, Data Sales Inc. (Burnsville) and had his own transportation company and lawn and snow removal business. Joe was a life long learner, receiving degrees from Saint Cloud State University, Ridgewater College and Crown College. 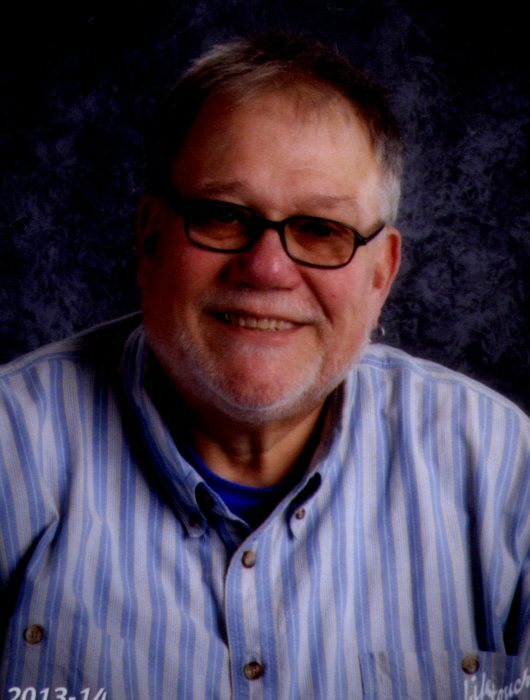 For the past 20 years he was a substitute teacher in Hutchinson, St. Charles and Winona. He served as a Reading Corps tutor for four years in Hutchinson and St. Charles. He had a passion for kids and the Lord. He loved Faith on Grove(Hutchinson), going on mission trips and spending time with youth at retreats. He opened his home up to anyone that needed a meal or a place to stay. He kept in contact with many of his students throughout the years and enjoyed watching them grow into adulthood. He loved music, bird watching and SpongeBob. We will miss his honesty, his lectures, his text messages, his sparkly blue eyes and his big heart. You never had to wonder what he was thinking… Three years ago, Joe & Nancy made the decision to spend their retirement raising two beautiful daughters. His legacy will live on in all those whose lives he touched. We thank God for his blessed life on this earth and the seeds he has planted in all of us. Joe is survived by his wife Nancy, son & daughter-in-law Joseph & Traci(Roseville), daughters Michelle (Kevin Keller)(Hutchinson), Mariah & Mya(Winona); grandchildren Mikko, Matthew, & Macklin; brother Dan(Palm Springs CA); special sister Rosa Maria Harrison(El Salvador); special son Steve Berglund(Mason City IA); furbabies Lucy, Dudley, Chloe & Stella and many relatives and friends. Joe is preceded in death by his mother Florence Schultz, father Joseph Schultz Jr, stepmother Lois Olson Schultz, brother Tom, mother-in-law & father-in-law Herb & Emma Hoffman, furbabies Josie, Leroy & Jameson. A Celebration of Life will be held in Winona MN on July 28th. Memorial preferred to Friends of the Winona Public Library and Ready Set School Winona MN.